Officers and Directors are elected for one-year terms at the annual Board of Directors meeting. They hold office until the next meeting or until their successors are elected. Bruce lives in Wheat Ridge, Colorado, and he and Judy have been involved in Clan MacRae activities for almost two decades. Bruce traces his ancestry back to Farquhar McRae who arrived in Anson County, North Carolina, in the 1780s. Farquhar was born in Kintail/Glenelg, Scotland, and was the great-grandson of Alexander of Inverinate. They are both very active in the Colorado Scottish festivals as well as the Grandfather Mountain games in North Carolina. You can contact Bruce at brucewaynemcrae@gmail.com. 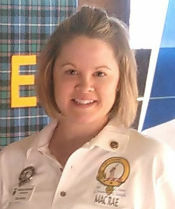 Ebby lives in Dallas, Texas, and she represents our Society at several Texas games - Texas Scottish Festival & Highland Games, North Texas Irish Festival, Central Texas Area Museum in Salado and the San Antonio Highland Games. She traces her lineage to Daniel D. Macrae, born in 1746 in Scotland who immigrated to Virginia in the 1760s. Her family DNA traces to the Highlands of Kintail and Dalriada Irish and Scottish roots. 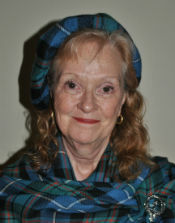 She was Tartan Day chairperson for the Scottish Society of Dallas, and she is a member of the Preston Hollow Presbyterian Church Sanctuary Choir, where she assists with the annual Kirkin' O the Tartan service. You can contact Ebby at ebbydarden@msn.com. 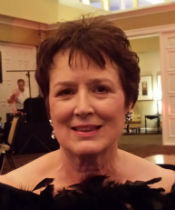 Valerie lives in Snohomish, Washington, and is a lifetime member of Clan MacRae as she has been associated with the Society since she was a teenager. She is married to Ken Brookner, and her hobbies include art photography, hiking, cooking, reading, and spending time with their pets. Sheila lives in Golden, Colorado, with her husband Doug, a member of the Douglas Clan. A retired critical care nurse, Sheila became interested in her McCray family roots after the 2009 Clan MacRae trip to Scotland. She has traced her ancestors back to Robert William McCray who migrated to North Carolina from Antrium, Ireland, in 1764. Sheila is our Treasurer, but she also handles Membership. 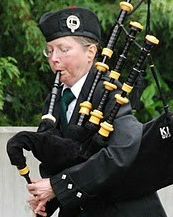 She and Doug are both active in the Colorado Scottish festivals. You can contact Sheila at SSchmidt99@msn.com. Judy lives in Wheat Ridge, Colorado, and she and Bruce have been involved in Clan MacRae activities for almost two decades. Judy is the inspiration as well as the energy behind our Clan MacRae Tours of Scotland which occur about every five years. Judy plans the itinerary and details of every tour around the Clan MacRae Gatherings held by the UK MacRaes. She and her husband Bruce host these tours that are advertised in the Sgurr Uaran newsletters. Currently Judy maintains the Membership database and sends out the renewal notices each year. Both Judy and Bruce are active in several Colorado Scottish festivals as well as the Grandfather Mountain games in North Carolina. You can contact Judy at judymcrae777@gmail.com. 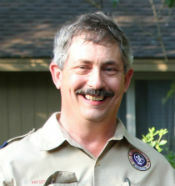 Leon lives in suburban Atlanta, Georgia, and has served as a Commissioner/Director of the Society since 1981 and as Society President from 1998 - 2001. Leon and Janet represent the MacRaes at the Stone Mountain Games near Atlanta and the Loch Norman Games near Charlotte, North Carolina. He is descended from Alexander Bain and Effie MacRae, and Christopher and Catherine MacRae from Scotland. The Folsoms have traveled to Scotland and Eilean Donan numerous times and are in love with their homeland! You can contact Leon at leon.folsom@prodigy.net. Jim and his wife, Mary, live in Hayward, California, and are lifetime members of the Society. Jim became a Director in 2016. They are veterans of all four Clan MacRae Society tours of Scotland, graciously and generously organized and hosted by Bruce and Judy McRae. Together, they host a clan tent at the Caledonian Club of San Francisco's Highland Games and Gathering, held at the Alameda County Fairgrounds in Pleasanton, California each Saturday and Sunday of Labor Day weekends. Please stop by and say hello or help them out! You can contact Jim at clanmacrae_na_sf@yahoo.com. Daniel lives in Tallahassee, Florida, and served in the US Navy and is a retired Lieutenant in law enforcement. 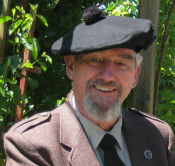 He’s been involved with his Scottish heritage for 20+ years and with our Society for 15+ years. His Scottish roots are through Phillip McRae born 1751 in Scotland who came to America and settled in Robinson, North Carolina, and married his cousin Elizabeth McRae, daughter of John Alexander McRae and Margaret Campbell. Daniel toured the Highlands on a Harley with the HOG Chapter of Clyde Valley Glasgow and has a cousin with the same name in Scotland. Daniel represents our Society at the Orlando Games welcoming all visitors with much information and history. You can contact Daniel at dgmcrae@comcast.net. Darcee lives in Homerville, Ohio, and hosts a Clan MacRae booth at the Ohio Scottish Games where she meets more MacRae family every year! Darcee’s 3rd great-grandmother was Isabella MacRae who came to Nova Scotia from Applecross, Scotland, in 1812. Darcee attended the Scotland Gathering in 2015 and was amazed to visit the land of her ancestors and learn about the MacRae history. She works for a physician’s office and is known for her attention to detail and organizational qualities. You can contact Darcee at shav2020@yahoo.com. Patrick MacRae is married to Karen and they have raised five children. He is a retired Naval Officer with over 31 years service. He is a veteran of Desert Shield, Desert Storm, Iraqi and Enduring Freedom, holding 57 awards for his service. 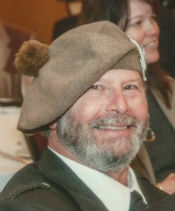 A member of the St. Andrews Society of Sacramento, A Fellow of the Society of Antiquaries of Scotland, the Scottish American Military Society Post 1814 and both Clan Donnachaidh and Clan MacRae societies. Patrick is currently employed by a large defense contractor as an instructor and configuration manager. 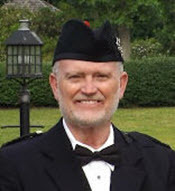 Patrick has been involved in several capacities in the Scottish community since childhood and currently serves at Scottish Games in both Maryland and Virginia. 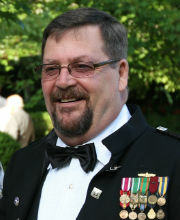 Dean McCraw lives in Savannah, Georgia with his wife Beverley. He grew up in North Carolina, graduated from NC State and has worked his entire career in the forestry field - running logging crews to growing over 505 million trees from Oklahoma to North Carolina. With two grown daughters, two sons in school and one granddaughter, they were also foster parents to 43 children over 10 years resulting in adopting their two sons. Both daughters were active in competitive Scottish dance and his granddaughter currently dances. 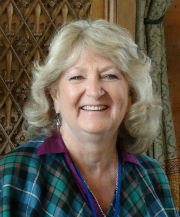 Dean and Beverley have attended several of the Clan MacRae Gatherings in Scotland and Beverley has made 15 kilts with 7 of those being of Clan MacRae tartans. 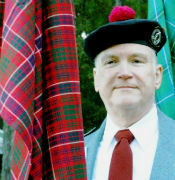 Dean has served on the Savannah Scottish Games Committee for many years and actively represents Clan MacRae at those games.